Yo! I’ve got some super dope news that I have been sitting on for months and it’s finally time to let it out! Way back in March, I got an email from the Editorial Director of the State of Black America Report (I’m still in shock that she even knows who I am). Anywho, if you didn’t know, this report has been produced by the National Urban League for over 40 years. 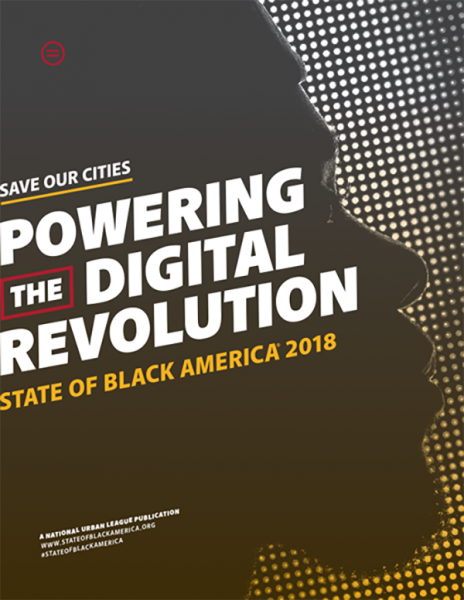 The research and insights literally define and outline the direction of Black America and the report is often cited as a resource for many federal funding projects as well as corporate initiatives. The prestigious report features the foremost experts in the industries of focus. The focus of the 2018 report was “POWERING THE DIGITAL REVOLUTION”, and I suppose my renegade digital commentary finally got the attention of all the right people. Wanna know what I said that snagged me a spot on this list? Welp, read below! How do you define tech? Tech is anything that makes life on-the-go possible. From mobile devices to portable personal assistants, technology is designed to keep us moving, mobile and connected. What is your digital space claim to fame? I’m an online content creator who made my debut as a blogger. As soon as I evolved to video content, my brand grew rapidly. It was live streamed content that catapulted me into the social media superhero stratosphere. 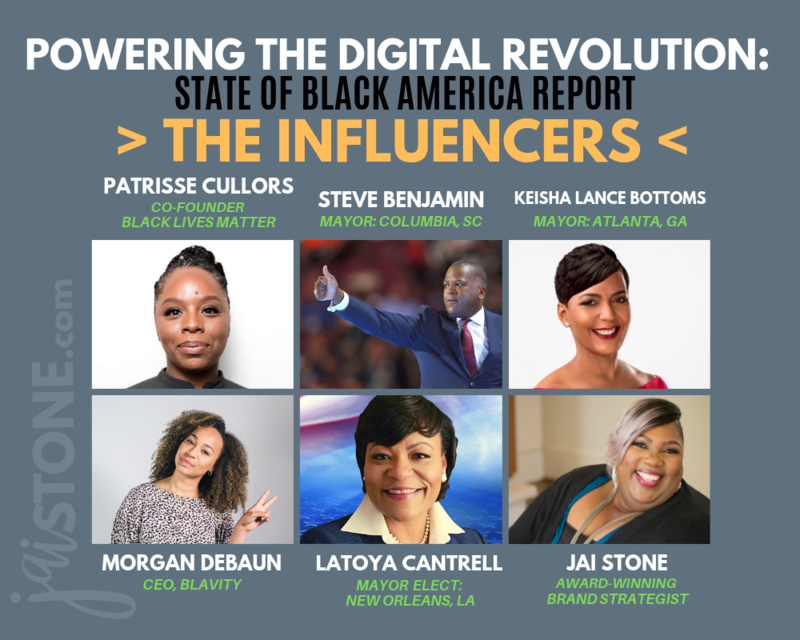 My content has been featured on Essence, BET, ESPN, Black Enterprise, Huffington Post, HuffPost Live, Madame Noire, and more. I’m not trying to brag. I just want people to know what is possible if you put yourself out there. The revolution will not be televised. It goes live on which social media/digital platform—and why? For decades, big media has controlled the narrative and decided what America is allowed to see or believe. Now, the power of the raw truth is at the fingertips of anyone with a mobile device. People are tired of feeling unheard; society is tired of sitting in silence and mankind will no longer mumble or mutter about injustice. We will simply “go live” and let the world see and translate the narrative in real time. Is the digital landscape the new civil rights frontier? The new symbol of civil rights is the hashtag. Digital and social media give us the ability to mobilize a worldwide movement right from our mobile devices. A click and a cool hashtag can draw crowds to venues or galvanize them to take a stand for their beliefs. Digital movements are a thing, and the hashtag connects all those who care about that thing together. What is the next big thing in branding? Video has been big for a while and I think most Black people were late to the game. Streaming video content series will be the next big way to leverage your brand. We are quickly approaching a time when the only way to gain visibility with your brand is through video content. So why not create a series that allows your audience to consistently tune in to your brand and your message? I’m going to wrap up know, but I just wanted to say that to be recognized by such a historically influential organization is one of the greatest accomplishments of my career. Thank you, National Urban League, for recognizing me as an Influencer and all around BADASS! View my original entry on the National Urban League website.